Whilst this clash looked like it could be a banana skin, ultimately Huddersfield hadn’t won a game all season and had only scored twice, they looked weak on paper and The Foxes made them look very ordinary on the day, after a poor start, again. A 5th minute throw in level with The Foxes’ penalty spot was flicked on by the giant Belgian Depoitre and fell at the feet of the unmarked Zanka who poked home from close range. Question marks over the marking once again and yet another struggle out of the blocks from City. Huddersfield then sat in and blocked Leicester from getting through their 11 behind the ball; The Terriers made it difficult, a quick response was vital as the crowd would have made their feelings known at the break had it stayed 0-1. Puel could be seen telling his players to stick to the plan, not to panic, to trust in their quality. This deserved bravery from the man patrolling his technical area in a well pressed suit and shiny shoes. The players listened and hit back in the 19th. An old fashioned Leicester City counter attack. Iheanacho picked it up in his own half, Vardy then looked up and rolled it forward back into the Nigerian’s path. His left footed effort across Lossl’s goal was pinpoint and whilst Iheanacho didn’t catch the shot clean it hit the deck twice before nestling in the corner. You then felt the floodgates could open and they did. Huddersfield were poor. 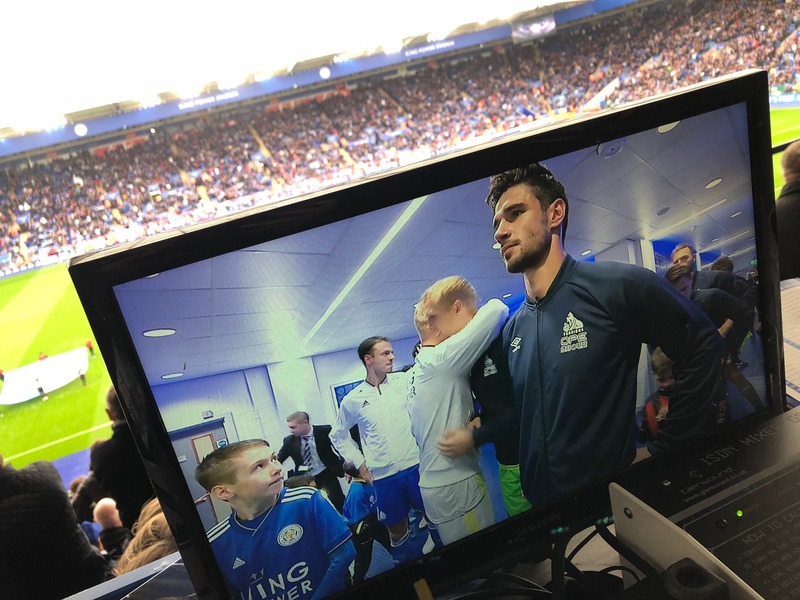 Vardy had two chances before referee David Coote (in his third Premier League game and from Nottingham………….maybe he had the same breakfast as the visitors as he was as his display was as poor) blew the whistle for a brew and a media room chat about how bad Huddersfield are and how many it could be in the second half. All that said, had Depoitre had a bit more pace in the 63rd when Van La Parra played him through on goal, it could have been 1-2 and a chance for Wagner to really close ranks; fortunately for the home fans Maguire got back in time to nick the ball away and snuff out the threat. Following that let off Puel’s players notched a second and third to seal the game. James Maddison – who will surely get an England call up pretty soon – fired a free kick into the top left hand corner in the 67th and Vardy confirmed the much needed three points when Iheanacho slotted him in, inside right channel, his pace left the defence behind, as Lossl went to ground Vardy scooped it over him to celebrate in front of the kop. A regulation win against a side who won’t spend another season in the top flight on this evidence. Owynn had some cake and pepsi pre-match, not helping my efforts of staying away from sugar (which I believe I have an addiction to) – nasty boy.